The simple style has been become one thing really exclusive by the superb white stone work that has been interspersed with red and inexperienced beads and an inexperienced teardrop hanging. 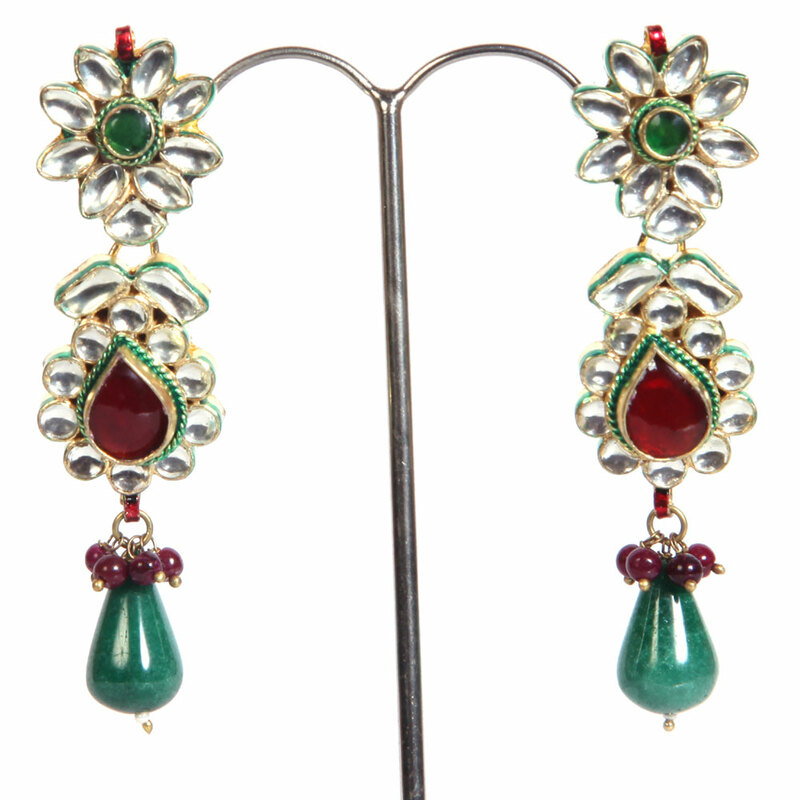 The beautiful contrast of the colour combination of white green and red is highlighted in this pair of fashion earrings. The simple design has been Read More..turned into something truly exclusive by the excellent white stone work that has been interspersed with red and green beads and a green teardrop hanging. Show Less..